The design/build concept was developed in the commercial building market to bring greater efficiency to large projects by placing responsibility for design and construction in a single organization. And it worked. Many design/build firms were able to provide their customers with a single point of contact, a seamless transition from concept to completion, and projects built on time and on budget. 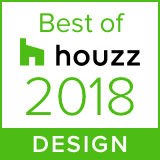 Design/build also works when applied to private home construction and renovation by an experienced, quality-oriented firm, such as Hebert Design/Build. Our design/build approach offers many benefits and advantages, starting with better communication and clearer lines of responsibility. You deal with the same project manager from start to finish, an experienced builder and designer who knows your goals and communicates directly with you throughout the process. Sticking with the Design/Build Plan. That's What We Do. Early in the design process, our building experience comes into play as we create a comprehensive project plan with accurate cost estimates and realistic schedules. The result is fewer surprises and no need to revisit the drawings when bids come in from builders. And when construction starts, we do not need to learn the design from another firm, negotiate changes to fit suppliers’ capabilities, or give you a new manager or two to deal with. We simply manage the plan to completion and to your full satisfaction.